Hi! 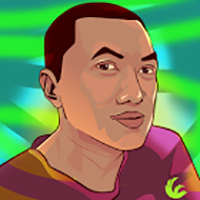 I am Narciso Evaristo, specialized in vector based kids illustration. I provide quality and unique illustrations that will meet your objectives. Smart Arts for kids started May 2016 to provide educational clip arts that will help teachers to create resources visually attractive for the kids and for creative people for their projects. A wide selection of images and vectors each set comes in both full color and black & white images. PNG format at 300dpi high resolution (transparent background) and vector SVG is available to be purchased.